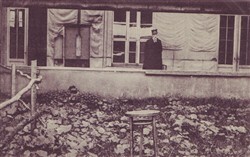 Black and white photographic postcard of the visit of Their Majesties the King and Queen of England to the Edith Cavell Memorial. 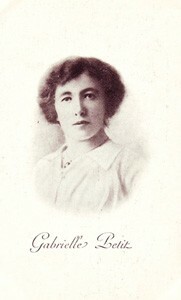 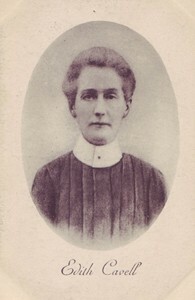 Black and white photographic portrait postcard of Edith Cavell. 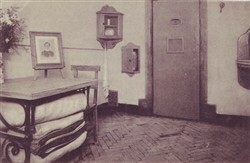 Black and white photographic postcard of inside Edith Cavell’s last home with framed portrait photograph on the table. 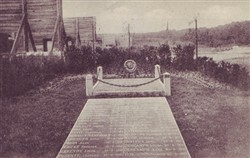 Black and white photographic postcard of the Memorial to the Civilians shot by the Germans. 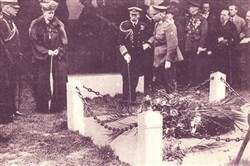 Black and white photographic postcard of the Graves of Philippe Baucq, Edith Cavell and Joseph Van Der Cammen with wreaths placed by the King and Queen of England. 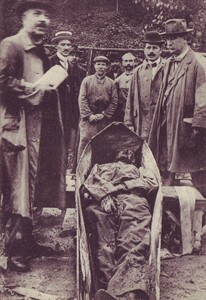 Black and white photographic postcard of the removal of Edith Cavell’s body from Tir National. 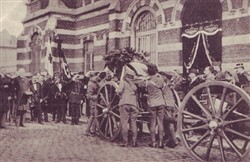 Soldiers are loading the coffin on a cart with a crowd watching. 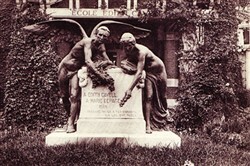 Black and white photographic postcard of the monument for Gabrielle Petit. 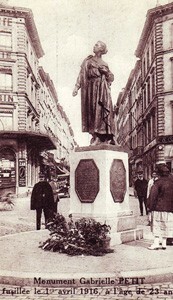 The monument is of a woman on a plinth on a roundabout and there are four onlookers and two constables in the photograph. 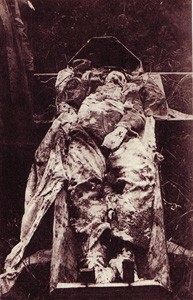 Black and white photographic postcard of German Officer shot for assisting a Belgian (possibly named Krasskell).